The Rekola AddOn Eva waterproof pouch with 2 clips has a capacity of 6 liters and depending on the application and can be attached to the trolley for storage of chemicals, plastic bag rolls and other items required during the cleaning process. The pouch has a stable opening making it easily accessible. 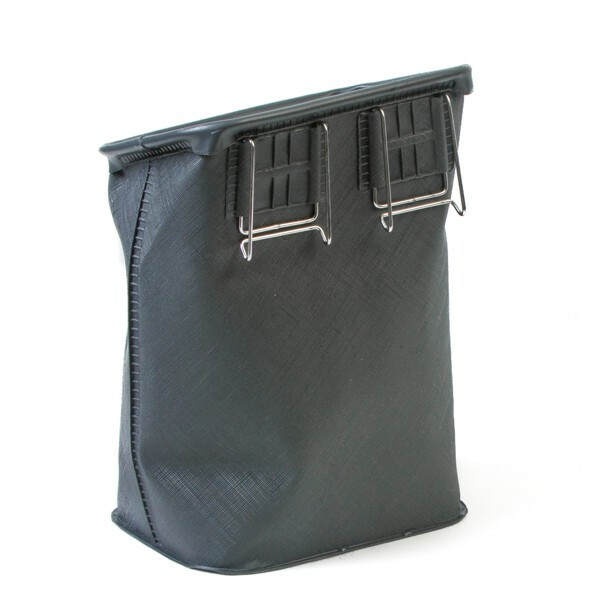 This pouch can also be attached to a buckle belt to facilitate stair cleaning. When using two pouches on the buckle belt, one for clean and one for dirty, stair cleaning becomes more efficient due to reduced trafficking to and from the trolley. Larger areas can also be cleaned without trafficking to and from the trolley. In combination with the Rekola Motion SV4Z trash bag trolley, this pouch can be used as a 6 liter bucket and clipped to machines for storage. Rekola Addon EVA pouches are ideal to add functionality to trolleys; increase storage capacity around the trolleys and reduce trafficking during cleaning. Storage of cloths, chemicals, brushes, garbage bag rolls, personal items etc.